SIA-ProD aspires to develop an alternative approach for the professional development of early educators. The project aims to provide to practitioners the methodology and the instruments for self-evaluation and self-improvement with a ‘low cost’ way. To achieve this goal, the project will implement to the educational field an innovative technique named Discrete Choice Modeling (DCM). The DCM is widely used in marketing, biostatistics and other scientific areas, while its use in education is still very sparse. The usefulness of the DCM is that it reveals the real and actual preferences of the responders, by extracting their representations about a topic. Led by the University of Crete, GREECE, SIA-ProD gathers together organisations from four European countries: Aristotle University of Thessaloniki, Thessaloniki, GREECE; University of Cyprus, CYPRUS; University of Bielefeld, GERMANY; SERN – Sweden Emilia Romagna Network, ITALY; CARDET – Centre for the Advancement of Research & Development in Educational Technology, CYPRUS; and Ellinogermaniki Agogi, Athens, GREECE. 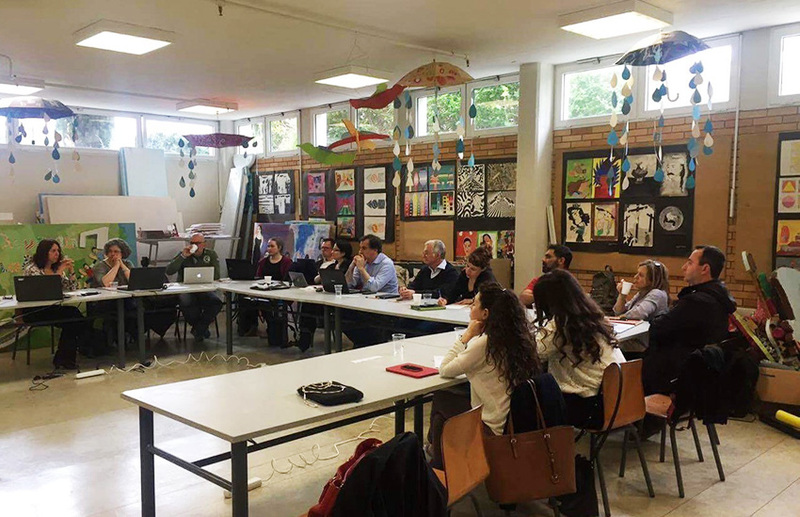 Following the SIA-ProD kick-off meeting of all partners at the University of Crete, Rethymno, Greece, in November 2016, the second partners’ meeting took place in Ellinogermaniki Agogi, in Palini, Athens, Greece, between 20th-21st April 2017. The highlight of the meeting was for partners to discuss the first outcome (O1) of the project, i.e. the Development of the Teacher Self-Assessment Assistant (TSAA) and to set the deadline of the SIA-ProD pilot study (end of June 2017). Additionally, the partners tackled key aspects of the next outcomes, i.e. O2: Self-Assessment phase and O3: Development of the Self-Improvement Educational Package (SIEP) and agreed on issues concerning the project’s visibility. The upcoming project meetings were planned, with the next taking place in Bologna, Italy, between 3rd-6th September 2017.